You still see a lot of older pickups on the road, but they’re mostly Ford, Chevy/GMC, or Dodge models. 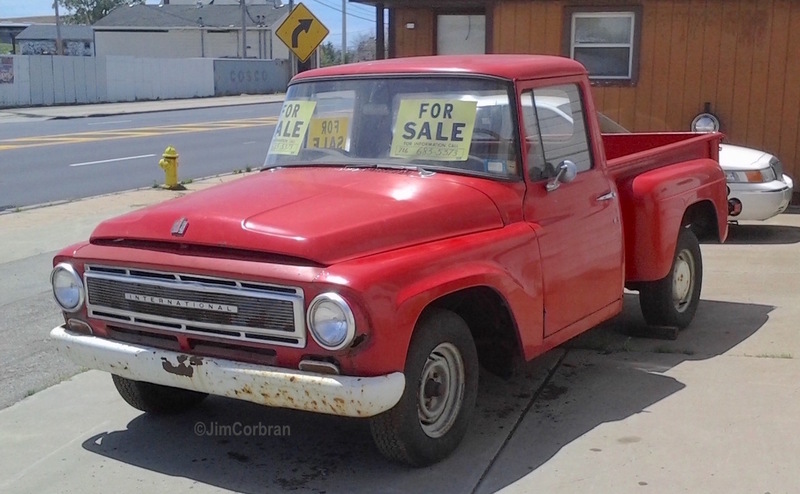 But here’s a rarely-seen 1967 International-Harvester 1000B, found last summer in Depew. International-Harvester, also known for farm machinery, was in the light truck and sport utility vehicle business for decades. The final pickups were the 1975 models. They’re still in business as Navistar, building large commercial vehicles under the International Truck name.